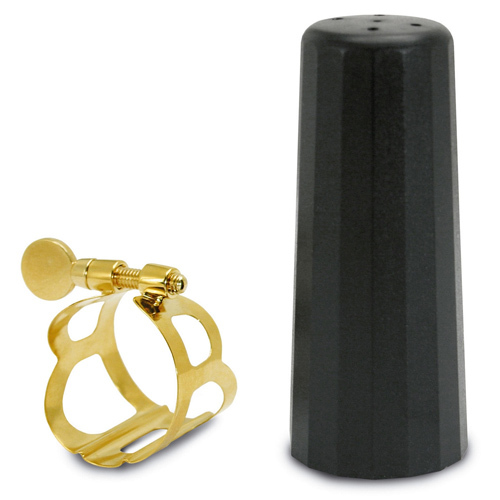 This BG gold plated ligature and cap fits most ebonite alto mouthpieces. 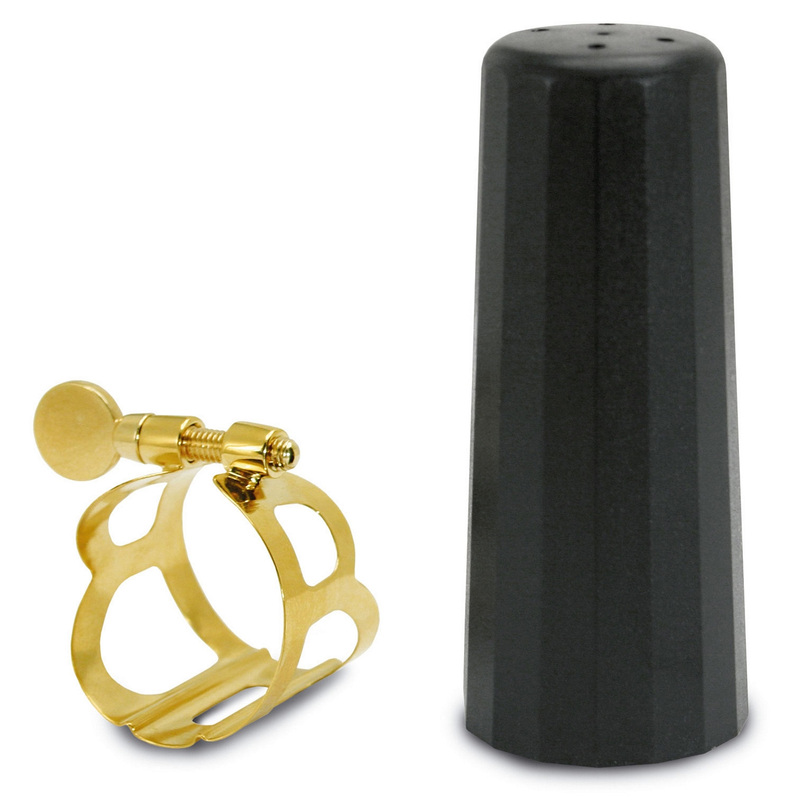 The classic metal design with single screw allows for a free blowing brilliant sound. This gold plated version has extra sonority and added richness.